Many of you have been asking about extending the IR mini blaster's reach in the various Harmony threads. We did a little experiment, the results of which I wanted to share, and let everyone know which parts we used in case you wanted to order the same. Please note that the longer the wire, the more current loss is experienced, so extended mini blaster performance may not be on par with that when using the regular cable. As you're aware, the goal here is to use a 2.5mm to 3.5mm adapter on the mini blaster side, use a 3.5mm extension cable to reach the desired length, and reduce back from 3.5mm to 2.5mm on the hub side to fit into one of the blaster ports. Using each of the extension cables individually worked well. Also, after teasing each individual one, we started from the 12ft cable, and gradually added a longer cable length, testing every time, until we had the full 187ft of cable daisy chained (12 + 25 + 50 + 100). This also worked, though we did experience a loss of IR signal strength. We backed up from the devices being tested as far as 3 - 4 feet and the devices still responded, but the blaster requires a lot more positioning, etc towards the device. However, it still worked. We hope this is helpful to whoever wished to extend their mini blaster's reach. Those cables aren't pretty, but those wishing to send a mini blaster off to their entertainment cabinet on a different floor, etc will definitely find success with these parts. Please feel free to refer anyone asking about mini blaster extension to this post! nathan_h, bigrig, Nick V and 16 others like this. I am an employee of Logitech's Harmony division. Click here to join the Harmony Beta Community! I'm surprised no one has posted in this thread. I was lead here from the logi forum and this is exactly what I was looking for. Thanks for taking the time to write this up and even including the Monoprice links. It helped a lot. That is a nice easy solution. I just spliced some existing wire I had sitting around for my Harmony 890. IIRC it was wire to connect a garage door sensor to the main opener and had a bunch sitting around. Cut the cable on the mini blaster and splice the garage door cable in to extend the run another 15 feet over the original length. This solution would have been much easier as the wire is very small so stripping the coating off is a little delicate. But it works fine, and was at least faster than waiting for Monoprice. This would be a lot easier if Logitech just used the standard 3.5mm connections. nathan_h, 49Merc, yhwhl and 2 others like this. Thanks. After quite some time poking around the internet this is absolutely the exact post I needed to see. I was getting confused / worried that all the cables and adapters had to be mono, but it looks like one or two stereo ones are not a problem. Parts are in my monoprice shopping cart now! I bought a mono 2.5mm jack, and a mono 2.5mm female, and soldered them to 100' cat6 to control a TV in another part of the house. Had a probelm with the femail end, it was so cheap that the jack from the IR extender wouldn't push into it. So, instead of going back to the store I Just cut the end off the exender, and soldered the extender right to the cat6 wire. 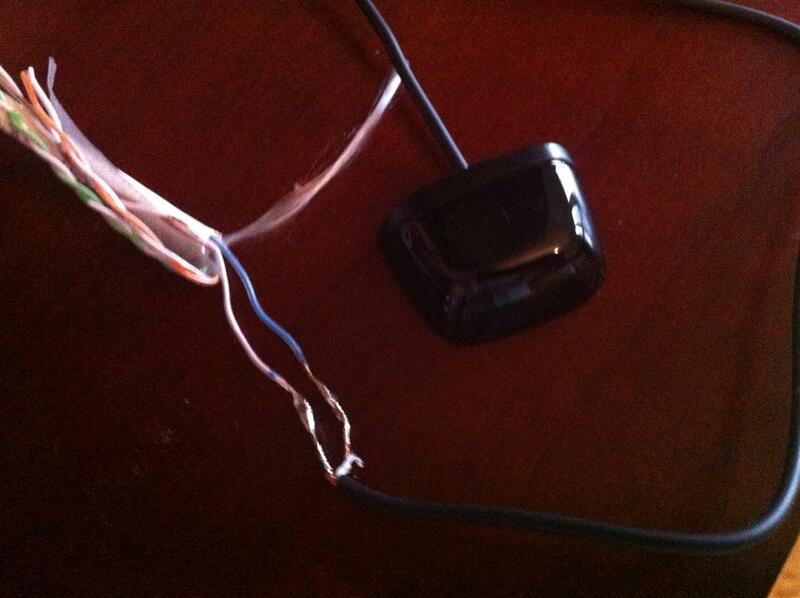 In retrospect I should have just saved money and soldered the jack part of the extender wire to the other end too. Last edited by f430; 01-18-2015 at 11:33 AM. What I did was use a regular Ethernet punchdown jack at each end of my run. I then took a short Ethernet patch cable and cut it in half. On each cut end I added a female 3.5mm solder-type fitting (not using Harmony 2.5mm in my case). I can now reuse the Ethernet run by simply unplugging the patch cable. I use a 900 in my theater room, and an 890 in my family room. I don't need the IR cables for my 890, but could use more on my 900. Do you know if the jack reducers would work on the 890 cables so I could use them on my 900? Also, are there splitters so I could connect two wires to one port? The 890 cables would need 3.5mm female to 2.5mm male connectors. You could get a 1 male to 2 female mono connector. You have to be careful because they make a 1 male stereo to 2 female mono connector which would not work. It would only send a signal out of one side. You can make pretty much anything you need with a soldering iron solution. Just use some solder-type male or female connectors and use however many wires you need. I was wondering if that would work. This will really help me out on one of my installations. I have used a lot of IR systems with harmony remotes and I usually use CAT5 wire and splice it on either end. Do you know if other emitters work other than the ones that come with the system? I will give it a shot tomorrow and see if it works with a system I am putting together. I purchased all the components you recommended from monoprice but unfortunately the male end will not secure into the female adapter on the mini blaster side, it seems to be too small. Cut the wires and splice together. I tried your setup for extending my Harmony Ultimate, but it doesn't work... I guess the cable is too long (33 feet) ? How long is your cable ? Awesome stuff! Great to hear everything worked for OP, but sad to see a couple posts saying it wasn't that smooth for them. The 50 footer is out of stock at the moment too , I may try an alternate brand and will post results when I decide to set things up. misI finally decided to try "it". I connected my MonoPrice IR Repeater using a 3.5mm Female to 2.5mm male to the Harmony Hub & from the Hub to my TV & cable box with a 3.5mm 2 lead stereo emitter. Both the TV & cable box are running now. I don't know how long a 3.5mm cable the IR repeater will work with or the Hub. So now, it looks like the Monoprice IR repeater will work as an extension of the Harmony Hub. I do know that the IR repeater won't work with the Global iTach the time I tried it; could be tho that the Monoprice IR repeater has 2 transmitter inputs & I connected the 2nd input from the output of the Global iTach so I can checkout different tablet apps for IR control but still be able to use the iTach ip2ir for "normal" use. 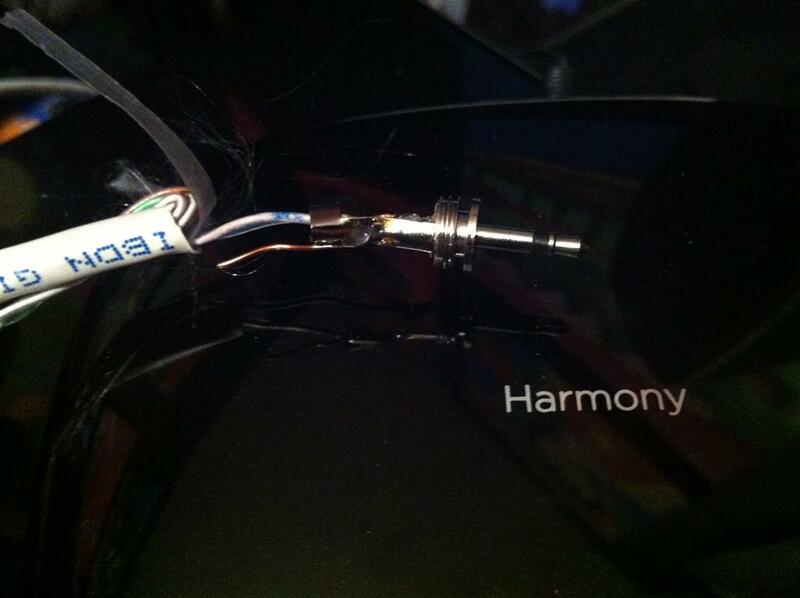 Anyway, one might try the low cost Monoprice IR repeater as an Harmony extension. No idea whether the Monoprice uses different IR codes for input from other models but do know the the "X......." version is different since Global has a special cable for it. Last edited by citrus; 10-28-2015 at 02:52 PM. Reason: changed "mail" to "male"
It's super annoying that Logitech chose to use 2.5 mm, to sell more Logitech-branded accessories. Logitech website doesn't even state the 2.5 mm spec, under specifications. I think Logitech control division was purchased by Monster. At least Monoprice sells the 2.5mm male to 3.5mm female adapters pretty cheap. Some heatshrink would have been nice on that. vivatech and azz7686 like this. I am looking at getting the hub and have a current IR repeater setup. If I am reading this right I could just get an adapter and plug my current cables into the hub? If that doesn't work, couldn't I just put the current receiver next to the hub's emitter? Yes to both, but the best way would be to use the 3.5mm to 2.5mm adapters. You don't want to have the hub emitters going into the IR repeater's IR receiver and then out to its IR emitters. Just use the Hub directly connected to your prewired IR emitters from your current setup. I am working on using some terminated Cat5 that is already installed and will be dedicated to IR. Need a short Cat5 cable with two (2) 2.5 mm plugs to connect my hub to the in-wall Cat5, and another one with jacks for the other end (in the closet). I don't want a bunch of adapters hanging off of my Hub, since it will be visible and needs to tuck into a corner. Anyone here have mad soldering skills? I have tried soldering 2.5mm jacks and plugs onto Cat5, and have failed miserably almost every time. I end up melting and shorting the connector. I'd be happy to pay someone who could solder these up for me! The key is to use plenty of flux before applying heat. Watch some Youtube soldering videos. You anywhere near Mansfield ohio? If you don't want to practice soldering until you get the hang of it, buy RJ45 breakout boards with screw terminals.